Over time, filtration media can become clogged with detritus reducing or obstructing the flow of water through it. When this happens in Tidal™ filters, water is redirected around the filter and back into the aquarium through an outlet on the side. The redirected water pushes up the blue maintenance alert on the top of the filter, signaling that the filter needs to be cleaned. The filter basket has a huge capacity to hold filtration media of your choice in the configuration of your choice. 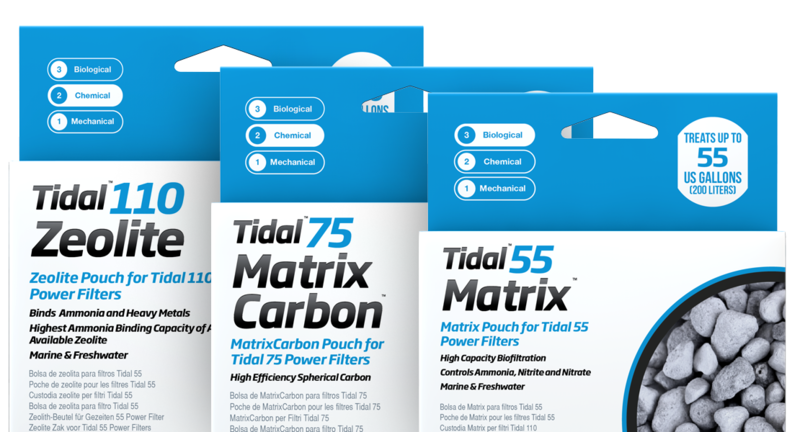 All Tidal™ Filters come with Seachem's Matrix™ bio-media to get you started. 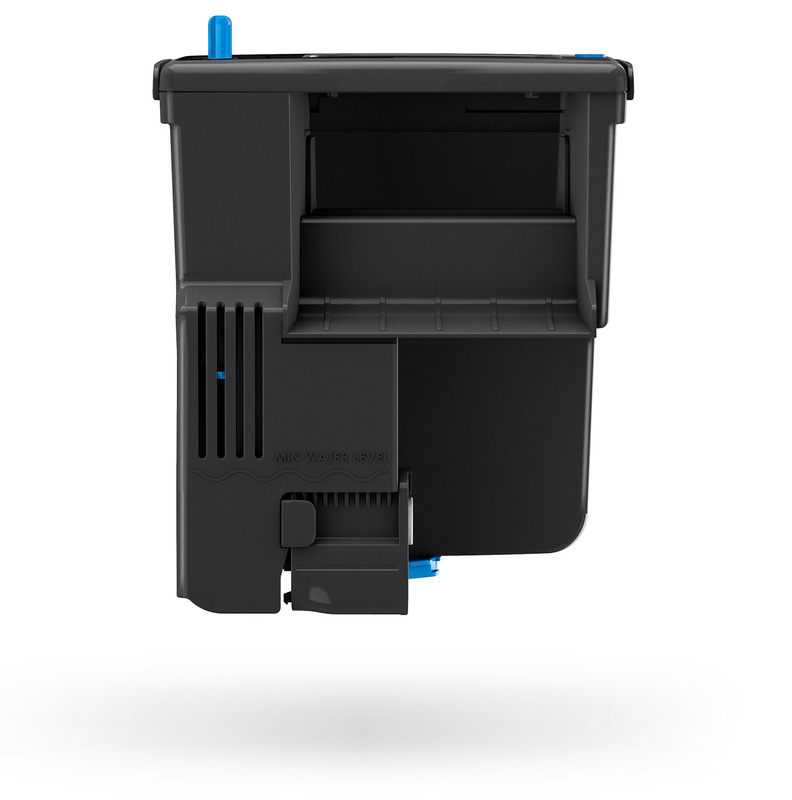 The basket is fully removable and snaps into the lid of the filter for easy and drip-free transit to a sink or hose for cleaning. The self-cleaning, corrosion-proof impeller is suited for both saltwater and freshwater environments. This cuts down on maintenance and makes the filter suitable for a wide range of environments. All Tidal™ Filters are guaranteed against defects of materials and workmanship for a period of 3 years from the date of purchase, except for the pump’s impeller. This can be extended to 5 years by registering your filter. 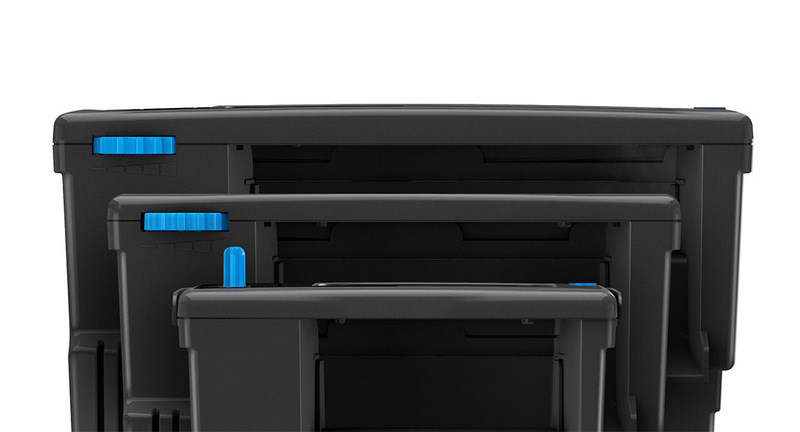 The warranty covers the replacement of the defective parts. All Tidal™ Filters are guaranteed against defects of materials and workmanship for a period of 3 years from the date of purchase, except for the pump’s impeller. This can be extended to 5 years by registering your filter. Which Tidal™ is right for you?